I think my head is full. So much information was delivered across 500+ pages. If I retain 10% of the information, I’ll be happy. 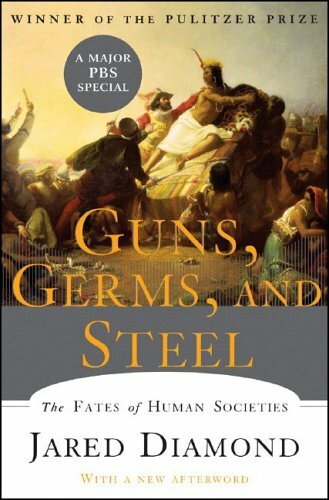 Guns, Germs, and Steel: The Fates of Human Societies by Jared Diamond is a monumental book. It is basically the history of humankind through the eyes of an evolutionary biologist. It covers the spread of populations, agriculture, languages, governments, germs and guns. A simple review won’t do this book justice. one of Craig’s all-time faves. Read this a couple of years ago and I agree…fantastic. I read one of his other books as well, the third chimpanzee, and it was just as interesting and entertaining.